Shawnee-on-Delaware, PA – Thanks to aggressive snowmaking and the recent cold snap, Shawnee Mountain plans to open for skiing and snowboarding on a daily basis beginning this Wednesday, December 14 for the season. Early season operating hours will be 9am to 5pm. A minimum of five open trails for skiing and snowboarding will include Hiawatha, Blue Mountain, Greenhouse Slope, Little Chief and top to bottom on the 5,000’ Pennsylvania Trail. Two to three lifts will operate including the beginner friendly Little Chief Double Chairlift and the Tomahawk Express Quad to the top. Ski and snowboard rentals, group and private lessons, beginner’s packages and babysitting will all be available. 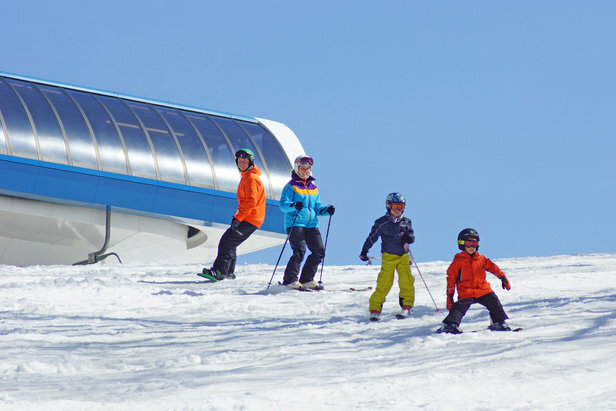 For online discount lift tickets and packages and to make Children’s program reservations visit www.shawneemt.com. Shawnee’s Pocono Plunge Snow Tubing Park will open Friday, December 16th with 3 chutes and a carpet lift to get you to the top. Single tubes and adult and child tandem tubes will be available with two and four hour sessions. Tubing Park hours are 1pm to 5:00pm starting Friday. Snowmaking operations will continue on Shawnee Mountain on up to 9 trails 24 hours a day as temperatures permit. Live webcam views and up to date Shawnee Snow Condition Reports are available online at www.shawneemt.com or by calling 800-233-4218.
levels of skiers and riders. For early season hours and the latest snow conditions visit www.shawneemt.com. Shawnee Mountain is located in the Pocono Mountains of Pennsylvania just off Exit 309 on Interstate 80.